‘Catalyst’ contains a line of recordings made in the period 1982–2008. For specific information concerning the individual song titles we need to direct you to the discography section for more specific information about the original recordings. T2008-remastering made by Johnny Stage. 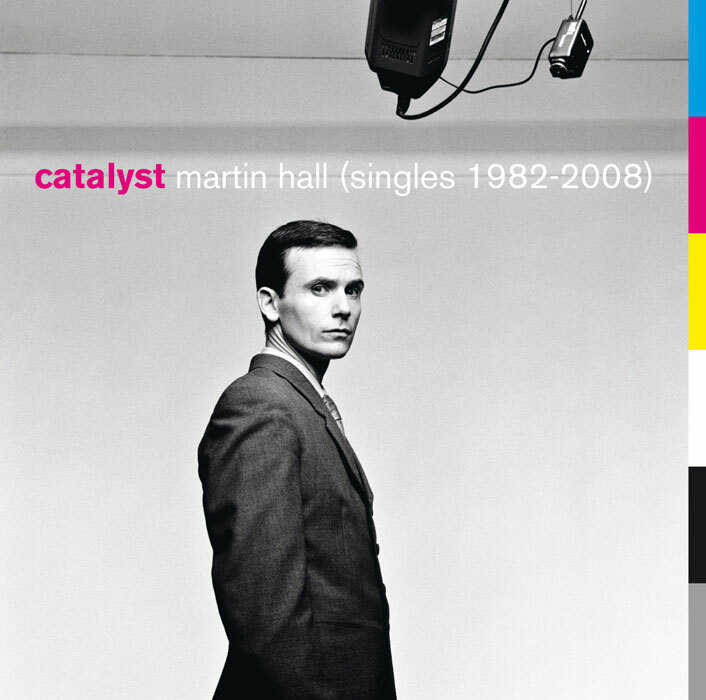 As a concentrate of the voluminous 5-cd/dvd Catalogue (Martin Hall 1980–2007) from 2007 Panoptikon issued the single-cd album Catalyst (Singles 1982–2008) approximately one year later, on September 22, 2008. As the subtitle describes, the release is a collection of Hall singles stretching back from his Ballet Mécanique days up until the new single “Delirious” which was recorded with Danish newcomers Marybell Katastrophy. 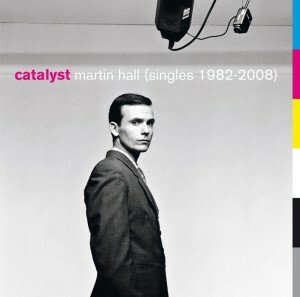 The Catalyst collection does not include all singles made by Martin Hall throughout his career – far from. In the Catalyst context the term “single” refers to formats such as 7” and 12” vinyl releases, cd-singles, promo copies, b-sides, downloads and remakes of single tracks – a definition providing the label with enough artistic latitude to enable new listeners to get a sense of some of Hall’s more project orientated works. All in all the cd contains 20 tracks as well as lyrics and liner notes to each individual title. Most of the songs on the compilation are featured in the form of single edits. Apart from the already mentioned new download- single “Delirious”, the other newly recorded track on the album was a second version of ”Tout le Monde”, the grand finale on the Catalogue box. 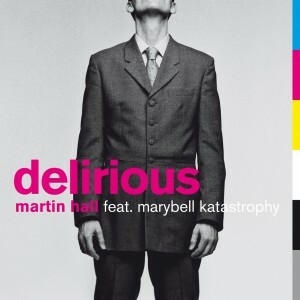 On this track Martin Hall was accompanied by the pianist and connoisseur Marquis Marcel de Sade. The duo re-recorded the song for the 2008 album version, the second time around furthermore featuring the nameless Danish author, director and singer in Claus Beck-Nielsen Memorial on harmony vocals. This version of ”Tout le Monde” was added as the digital b-side of the “Delirious” single by which token the track finds it way onto the Catalyst album. Concerning the other collaborations on the release: Track 1 was performed with Ballet Mécanique, track 2 and 3 with Under For, track 4 with Front and Fantasy, track 12 with Trauma, track 15 with Christian Skeel and track 18 with Winterhill. The music on track 4 was co-written with Martin Krog, on track 12 with Trauma and on track 15 with Christian Skeel. Producer credits: Track 7 and 8 were co-produced by Flemming Nygaard, track 10, 11, 13 and 14 by Thomas Li and track 19 by Johnny Stage. Track 12 produced by Trauma, track 15 by Christian Skeel, track 16 and 17 by Johnny Stage, track 18 by Winterhill and track 20 by Marybell Katastrophy (string arrangement written by Martin Hall).